Owner says, “Every day, Dog, eat!” So I barked with joy when we found a jumpster, which is like a giant kitchen trash can full of delicious food that you can jump into! I am a good dog! I helped another dog protect our people from Cat! 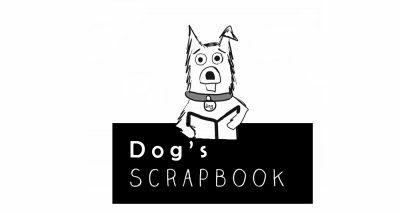 It was too hard not to eat all the food in his table-scraps book, so Dog's only collecting his & Owner's journal entries & drawings. They aren't nearly as tasty. Now Dog will remember all his favorite days with Owner & new friend, Zombie, & maybe help you to have your own favorite apocalypse days too!